As you might know, operators need content suppliers to offer games to its customers. But sometimes developers themselves borrow tools from other software providers to create those games. 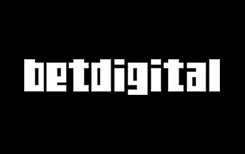 Bet Digital is one of those core suppliers which make it easy and smooth to produce gaming content. This is a UK based supplier that is quite young, but hires experts with extensive experience in this industry. The company was founded just six years ago, but has already reached success. Today it plays a significant role in iGaming. In 2016, after just five years since its foundation, Bet Digital was acquired by NYX Gaming. Best Bet Digital casinos are everywhere online as it supplies major cross-platform gaming engine. But that’s not their only area of expertise. It would be quite surprising to see the company offering its development framework which has no games released in-house. Bet Digital has a very small collection of games, and you won’t see many operators on the list of Bet Digital casinos. The developer holds UK Gambling Commission license. UK is believed to be one of the most well regulated markets and acquisition of this license is definitely an advantage if the company wants to be trusted. If you play one of few Bet Digital video slots, you can put your mind at ease as their games are fair. Reliable Bet Digital casinos are based in UK and around the world. But this developer doesn’t just provide gaming content for online operators. It also supplies solutions to land based casinos, and for Smart TV sector. Their online video slots are of good quality, but can’t compete with content produced by major developers. Good thing about their games is that they can be played on many devices as their famous development framework allows suppliers to release games across wide range of platforms. That means that players won’t have to wait before new games are available on different devices. Bet Digital portfolio of games consists of nine video slots. Not all players would find them attractive as they aren’t innovative and offer quite simple graphics and animation. These are more of a traditional type of games with limited number of features. Visit any websites from the list of Bet Digital casinos to test gaming content delivered by this supplier. Video slots have 5×3 reel sets, 10-20 paying lines, standard collection of symbols, including scatters and wilds. You’ll usually have a round of free spins. But there’s one additional bonus feature available on their games – scratch cards. Load Shamrock Surprise slot if you want to get some scratch card winnings. During this round you’ll scratch one out of 12 shamrocks at a time to reveal prizes. All prizes add up to pay you nice amount of credits. This is one of feature packed titles as Shamrock Surprise offers another bonus games called Rainbow Runner. Leprechaun running on the rainbow will collect bonus money for you. This game has a fixed jackpot of 5oo pounds any punter can win. The same jackpot amount can be won on Caesars Palace slot machine. After entering bonus round, punters will have to reach the top of the marble stairs to receive the major prize. But that’s not going to be easy as there are nine levels and each of these levels offers multiple choices. Super Pots Bar-X is probably the most popular game released by Bet Digital. Players can win one of five progressive jackpots. They’ll need to get the Mini-Slot on one of the reels and it should show three pots of gold for a gambler to collect a progressive prize. But players would have another lucrative feature – Coin Bonus. When several coins land on the reels, you are asked to pick one of them to reveal solid multipliers or credits.